The iPad Air 2 is Apple's sixth-generation tablet, and the sum total of all the company's insight, experience, and engineering to date. 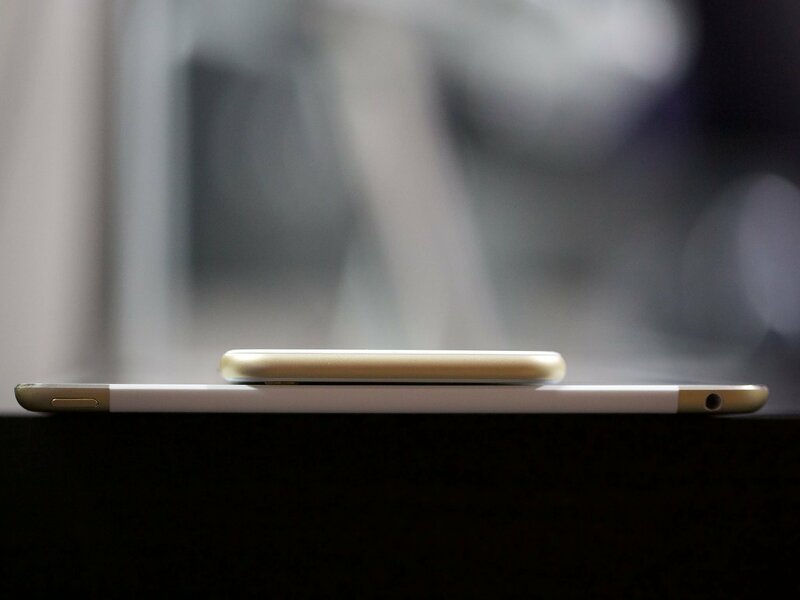 It's as narrow as last year's model, yet even thinner and lighter. Its display is as sharp as ever, but now laminated and even better looking. It's got a camera that, for the first time, takes photography seriously. It connects to even faster networks. And it's got a processor that's so advanced and so powerful, it rivals laptops of not so very long ago. 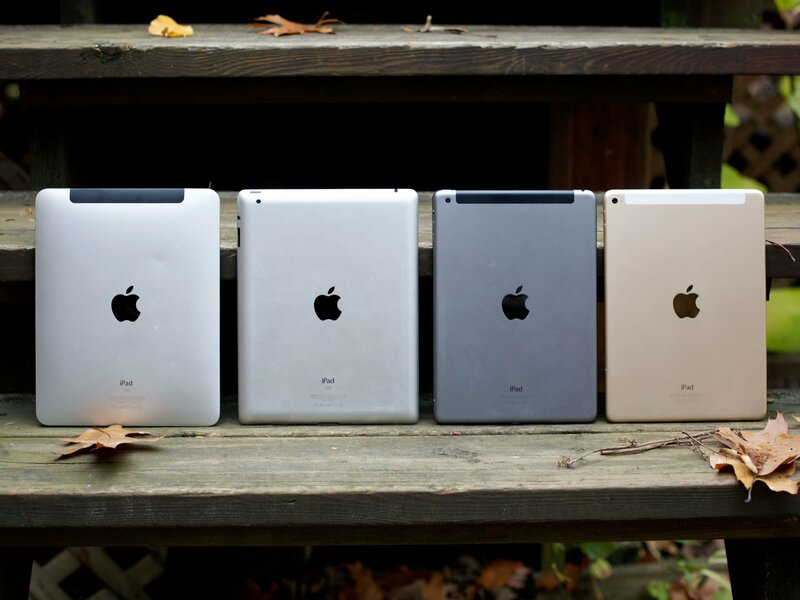 The iPad was forged on the belief that technology alone is not enough. That personal computers had to become even more personal. That holding them in your hands — looking into the vast expanse of apps and the web, and manipulating it all directly, immediately, with the touch of a finger — enabled and empowered something more. iPhones have gotten bigger and more capable. 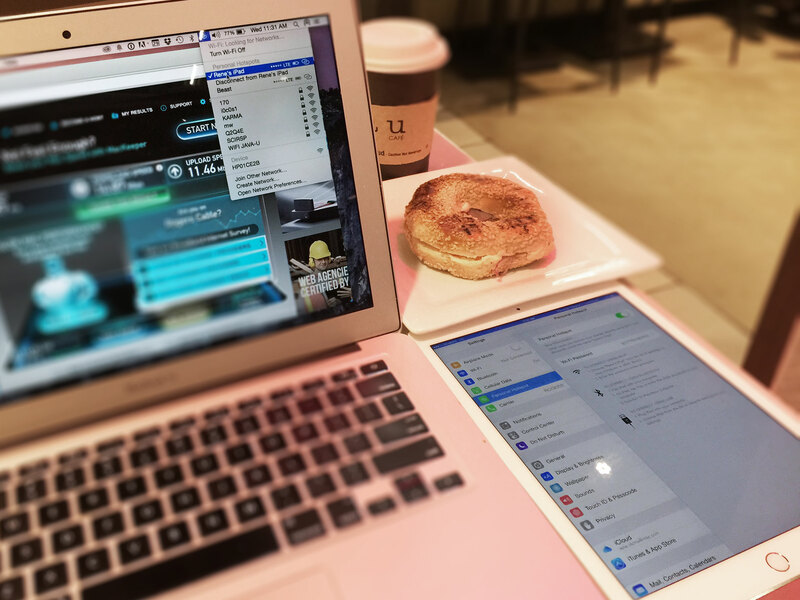 MacBook Airs have gotten more efficient and more accessible. And even as Apple shows us iPads journeying to the tops of mountains and the bottom of the seas, as they've been used to create new art and new enterprise alike — some have wondered how much space truly remains for Apple's tablet to live and grow between phone and laptop. 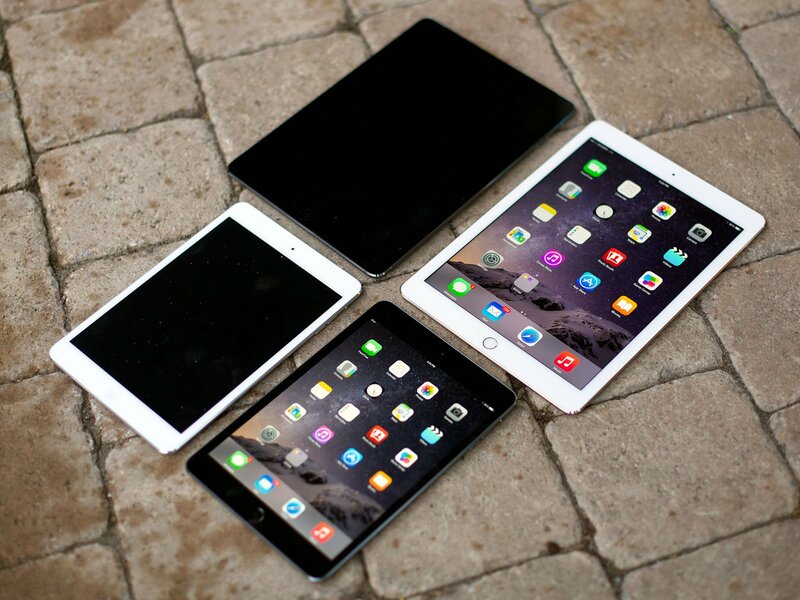 Does the iPad Air 2 answer that question? Read on to find out. Stunning laminated Retina display with antiglare coating, incredible Apple A8X performance, 8 megapixel camera, optional gold finish, cheaper 64GB and 128GB options, and Touch ID fingerprint identity scanner. Unless you dislike Apple or iOS, there's no downside here. Whether you've got an older iPad or are contemplating getting an iPad for the first time, the iPad Air 2 is the one you've been waiting for. GPU PowerVR SGX535 PowerVR dual-core SGX543MP2 PowerVR dual-core SGX543MP4 PowerVR dual-core SGX543MP2 PowerVR quad-core SGX554MP4 PowerVR G6430 PowerVR G6430 PowerVR G6430 PowerVR GX6650? The iPhone 6 and iPhone 6 Plus arrived in new, blank-but-for-embossing packaging, but the iPad Air 2, like the iPad mini 3, has kept its photographic art front and center — well, side and center. All that's visible on the box design is the thinner-than-ever profile view of the new tablet. "iPad Air" is still printed on the side, but there's no "2" to disclose its version. Included in the box is a power adapter, Apple Lightning to USB cable, SIM removal tool (for cellular models), and Apple's typical information booklets to help new users get started with their device. 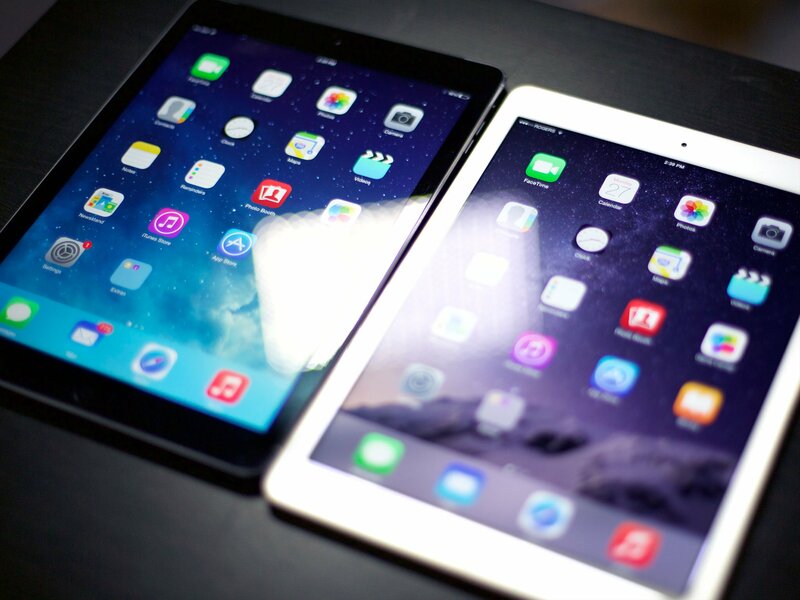 Last year, the original iPad Air redefined what it meant to be a full-sized tablet. 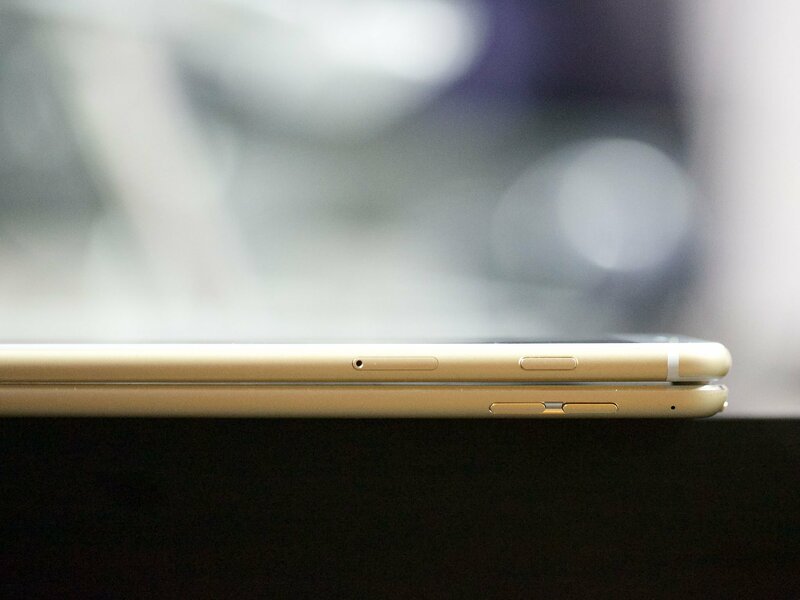 Narrower and thinner than ever before, that translated directly into a lighter and more usable device. 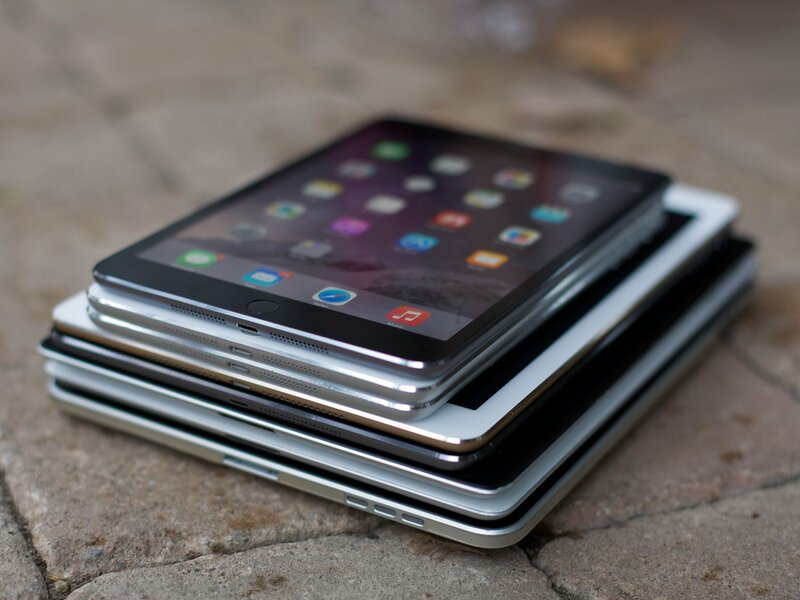 It looked and felt like an iPad mini — one that somehow managed to contain a 9.7-inch display. 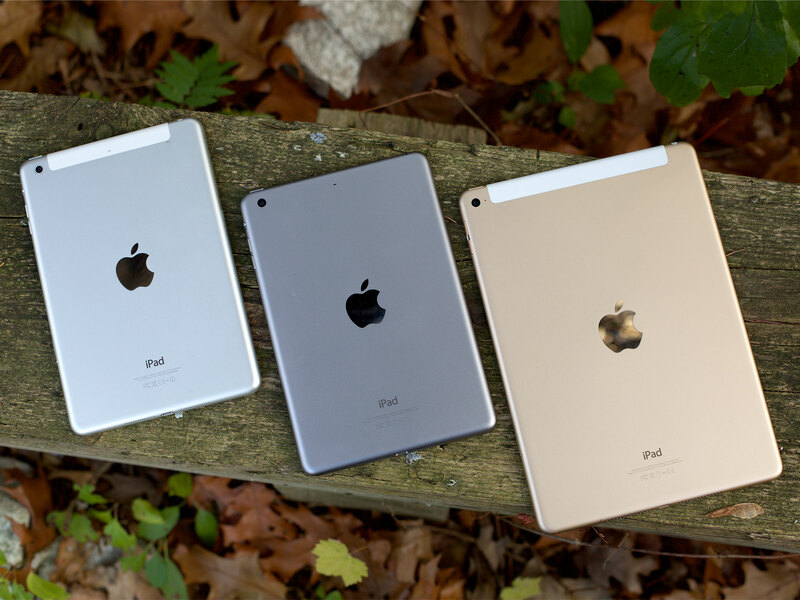 This year, the iPad Air 2 redefines redefinition. And though it may not be narrower this time around, it's again thinner and lighter — ridiculously so, at this point. It's still 9.4 inches (240 mm) high and 6.6 inches (169.5 mm) wide. It's only 0.24 of an inch (6.1 mm) thin now, however, and 0.96 of a pound (437 g) light — 0.98 of a pound (444 g) for the cellular model. That's 0.05 of an inch (1.4 mm) and 0.04 of a pound (32 g) less than the original iPad Air, and 0.29 of an inch (7.4 mm) and 0.54 of a pound (243 g) less than the original iPad. Especially when you consider the display and chipset wrapped up inside. Externally, aside from weight and thinness, the iPad Air 2 looks much the same as the original iPad Air, save for the Touch ID sensor integrated into the Home button. There's no curved glass as there was for the iPhone 6 and iPhone 6 Plus, nor is there plastic piping for the radio antennae — the cellular iPad still has a large plastic patch across the top. 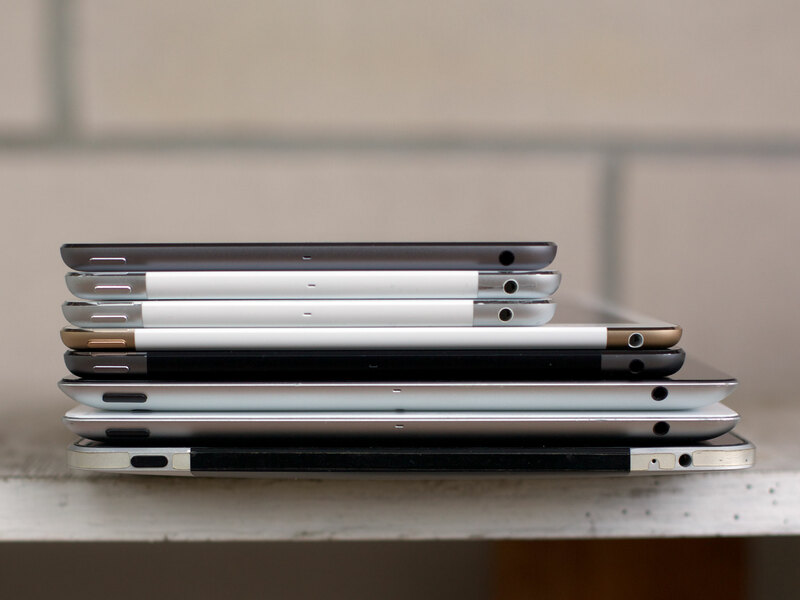 The iPad Air 2 is still part of Apple's current design language; it's just no longer at the bleeding edge. It is, however, joining the gold standard. That's right. 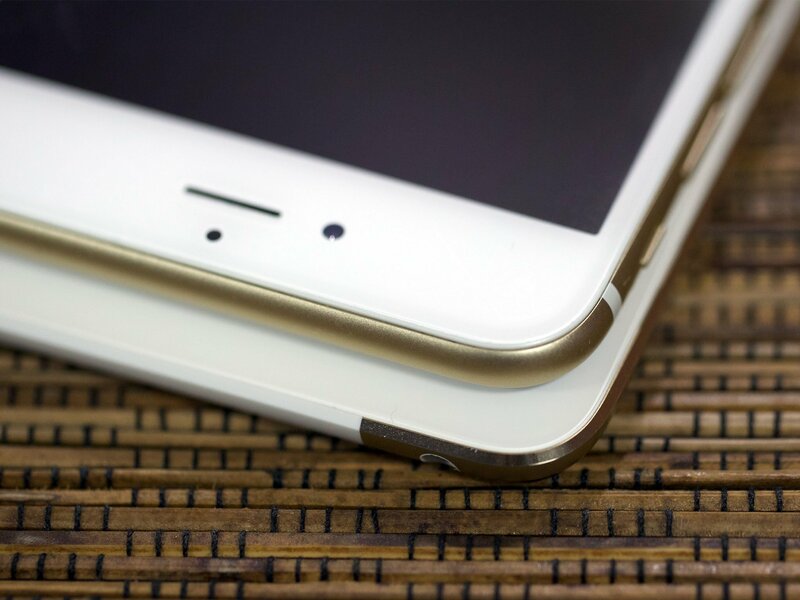 Now, in addition to the silver and space gray finishes, Apple is introducing the same gold hue currently available for the iPhone 6 and iPhone 6 Plus. Whatever hesitation the company had at shipping that much gold in 2013, they've gotten over it this year. It's… a lot of gold. But it'll no doubt appeal to those who want their gold iPhone and tablet to match, or simply want the most blinged-out iPad possible. The original iPad Air had a great display. 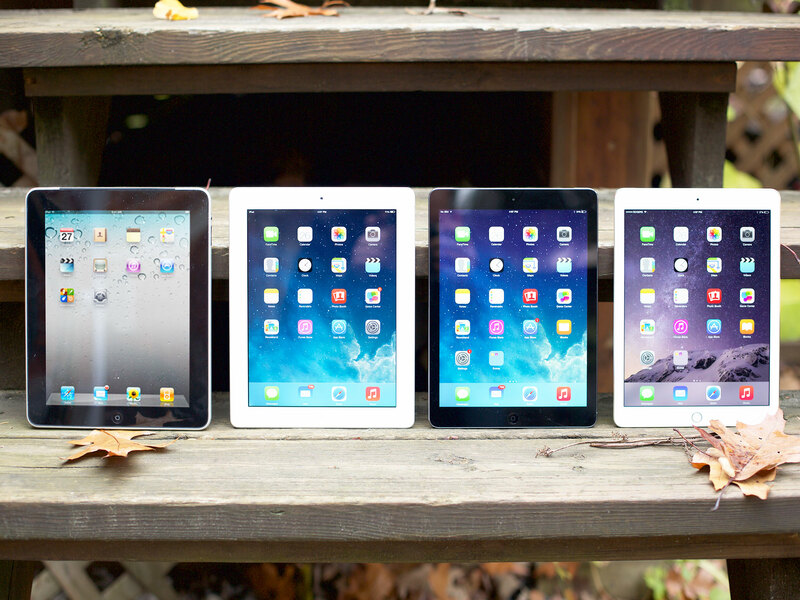 At 2048-by-1536 pixels and 264 pixels-per-inch, it was Apple's third — and best — revision of the iPad Retina panel. It also had an excellent color gamut, including deep, rich reds and purples. What it wasn't, however, was laminated. Unlike the iPhone, which switched to laminated displays in 2010, the iPad has always had three separate layers for its screen, multitouch sensors, and LCD panel. That created air gaps between the pixels and the glass, and light reflecting off those gaps created screen glare. 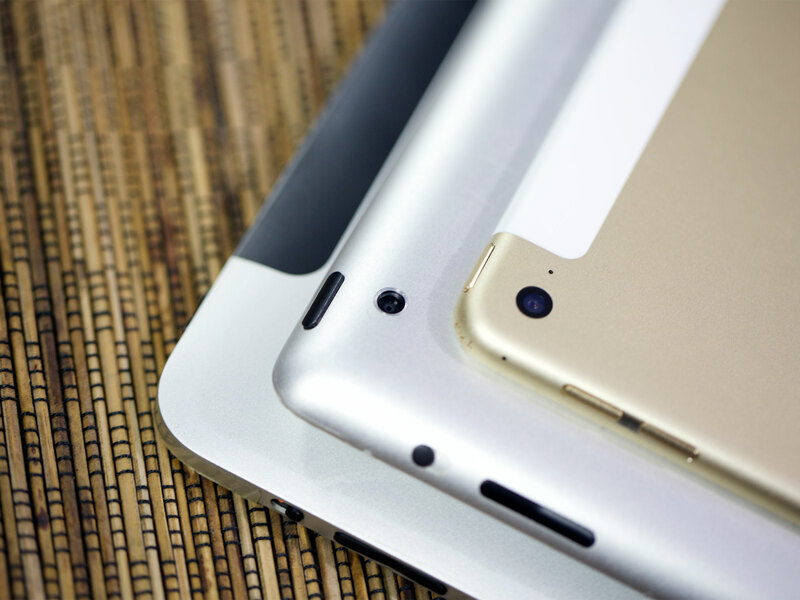 With the iPad Air 2, those three layers have been fused into a single layer. That eliminates gaps as a source for potential glare. The company has also added an all-new, all-custom antiglare coating. The result is something far more usable in direct light — be it incandescent or florescent — at home, work, or school, or in outside sunlight. Apple pegs the reduction in glare at 56 percent. The real difference is that it becomes usable in places where previous generation iPads just wouldn't be as functional, like when reading outdoors. It may not be as technologically advanced as the new Retina HD panel found in the iPhone 6 or iPhone 6 Plus, but at 9.7 inches, it's incredibly impressive. The pixels no longer seem to be floating somewhere beneath the glass. Now they seem painted inside it. It's like opening a window and seeing the world — the real world. Last year Apple introduced the Apple A7 system-on-a-chip (SoC), their first generation 64-bit ARMv8 beast of a processor, and used it to power not only the iPhone 5s but the original iPad Air as well. It wasn't just that Apple — a computing company — brought 64-bit netbook-level power to phones and tablets; it was that they did it before dedicated processor companies and fabs like Qualcomm and Samsung. They caught the industry so unprepared, so flat-footed, that now Apple is shipping their second generation 64-bit mobile processor while others are still struggling to ship their first. Some might argue that it doesn't matter. And for web browsing and email, perhaps it doesn't. But when it comes to pushing forward state-of-the-art mobile computing and enabling desktop-quality computing in our pockets and on our laps today, it matters a great deal. It matters even more on the iPad Air 2: Not only has Apple once again created a next-generation processor, but they've used an X variant. First introduced with the iPad 3 in 2012, the X originally stood for the extra graphics muscle needed to drive the first-ever 2048-by-1536-pixel Retina display. This year, the X stands for more. 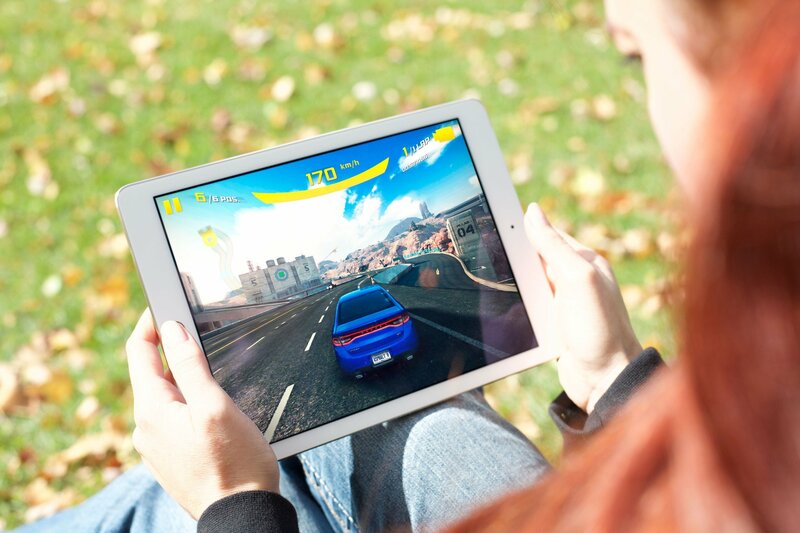 The Apple A8X means not only to better gaming, but faster productivity and creativity. The Apple A8X includes a triple-core second-generation Cyclone CPU clocked at 1.5 GHz and what's reportedly a hexa-core Imagination PowerVR GX6650 GPU. According to Apple, when combined, those chips increase the transistor count from the 2 billion found on the iPhone 6 and iPhone 6 Plus to a cumulative 3 billion transistors. And, for the first time, an iOS device is shipping with 2GB of RAM. Why Apple chose to include 2GB of RAM on a device whose operating system is designed to run perfectly well on just 1GB is an interesting question. There are rumors of multi-window iOS apps in the near future; perhaps this is in preparation for that. Whatever the reason, the iPad's RAM increase now gives it more than enough room to grow later. 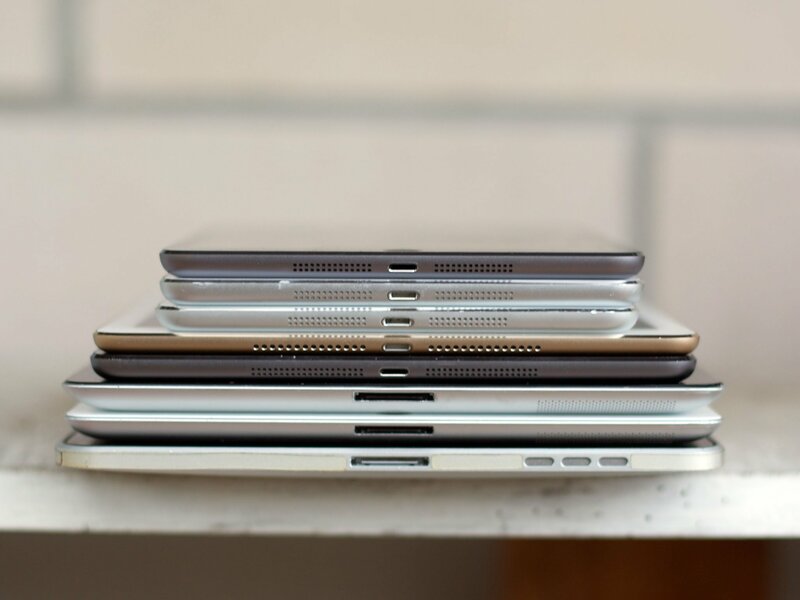 When Apple's new frameworks like Metal — for "closer-to-the-metal" graphics performance — are factored in, the Apple A8X means that the iPad Air 2 doesn't just match the ultrabooks of yesterday: It gets close to the ultrabooks of today. And it does so without having to switch to heavier, fan-encumbered x86 processors. Running the benchmarks, while Geekbench shows a slight improvement on single-core processes, multicore shows a significant boost (thanks, no doubt, to the iPad's third core). GFX Bench's Manhattan test, which focuses on OpenGL ES 3.0, shows similarly significant improvements — what was choppy, ~9 FPS video on the A7 becomes smooth, ~24 FPS video on the A8X. That all translates not only to better gaming, but faster productivity and creativity. When you watch Pixelmator chew through a context-aware fill, you may not be able to physically see the A8X, but you'll sure see its results in the progress bar streaking across the screen. If you owned an iPhone 5s and an iPad, your procedure for unlocking your tablet probably went something like this: Place your finger on the Home button, wait 6 seconds, realize there was no Touch ID sensor, curse, and then press down and enter the passcode — yes, like an animal. This year, to unlock an iPad Air 2, you can place your finger down on the Home button and smile as Touch ID takes care of the rest. Apple's biometric fingerprint identity sensor implements a sophisticated — and rather interesting — system. When the capacitive ring around the sensor detects the presence of a finger, a high-resolution lens reads it. Once a fingerprint is read, it's converted to a mathematical hash and the original image is destroyed. That hash is then transited to the secure enclave on the Apple A7 chipset and compared with the fingerprints registered there. If a match is found, the secure enclave releases a "yes" token. If no match is found, it releases a "no" token. That system lets Touch ID do quite a few things for you: authenticate and unlock your iPad; open your password manager or banking app; authorize payments on the iTunes Store, App Store, iBooks Store; or, newly-added, pay for goods online via Apple Pay. Touch ID can do quite a few things for you: unlock your iPad, open a passcode-protected app, authorize payments on the iTunes Store or App Store, or pay for goods online via Apple Pay. It's far more secure than having no passcode, and far more convenient than a strong, unique password. That means it's far more likely people will actually use it. Better still, Touch ID pairs its fingerprint system with a strong password option; this lets you add a good password to your device without having the pain of entering it every time, providing for even better security. Yes, Touch ID can be spoofed if someone goes to the trouble of lifting your fingerprints and producing a high-quality fake; it's also easier for someone to force your finger onto a sensor than force you to tell them a secure password. If any of those things are a concern, however, you likely have more pressing issues to worry about than Touch ID. Just disable it in Settings. For the most of the population, most of the time, Touch ID is a huge win. Additionally, Apple lets developers security-check against the Touch ID enclave; this means you can now also easily unlock banking apps and password managers with your fingerprint, and provides for what's perhaps the best blend of convenience and security ever found on mobile. Touch ID is so good that once you start using it, you want it everywhere. Never mind your iPhone or iPad: You want it on your car and on your house. And you'll want it for Apple Pay... at least online. At least, online Apple Pay, because Apple isn't making in-store Apple Pay available to the iPad mini or Air. They do have NFC (near-field-communication) chips, because they need the Secure Element to store data, but they don't have NFC antennas; so, alas, all you get is the in-app experience. 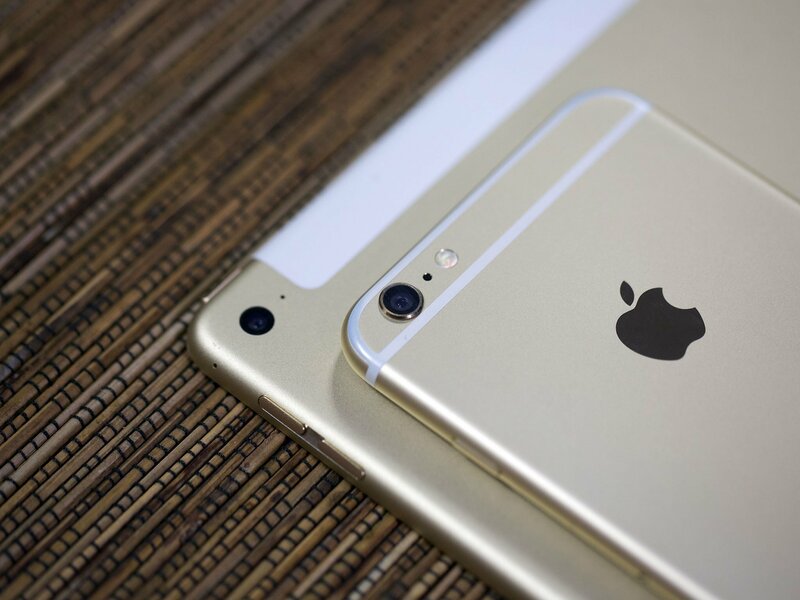 If you want to leave home without your wallet, you'll need an iPhone 6 or iPhone 6 Plus. Even limited to online-only purchases, however, the iPad Air 2's Apple Pay integration is simple and easy to use. If you're using a compatible app, the service takes away pretty much any need to have credit card numbers memorized or fumble around for your wallet; instead, you can just tap the "Buy with Apple Pay" button, see a summary of your bill, and touch your finger to the Touch ID sensor to purchase your item. It feels almost too easy; it reminds us a lot of in-app purchases and Amazon's 1-Click service. "$40 isn't that much for a new battery charger! Psh." If you already have an iPhone 6 set up for Apple Pay, you'll find the process for setting up an iPad very similar. Unlike Apple's iCloud services, however, you won't automatically see your iPhone-input credit cards on your iPad—the company silos all that information in its Secure Element and doesn't sync it online, so you'll have to re-enter your cards for each device you plan to use Apple Pay for. While it might be a minor pain during setup, it's vastly preferable to the alternative—syncing your credit card numbers online and worrying that a potential iCloud hack might expose your data. In fact, Apple Pay is specifically oriented to prevent the theft of your credit card numbers; once the originals are in your device's Secure Element, Apple Pay provides vendors with a different temporary credit card number—authorized by your bank or credit card issuer—every time you purchase an item. This protects your original number from being untowardly swiped if, for whatever reason, the merchant you purchase from has been compromised. 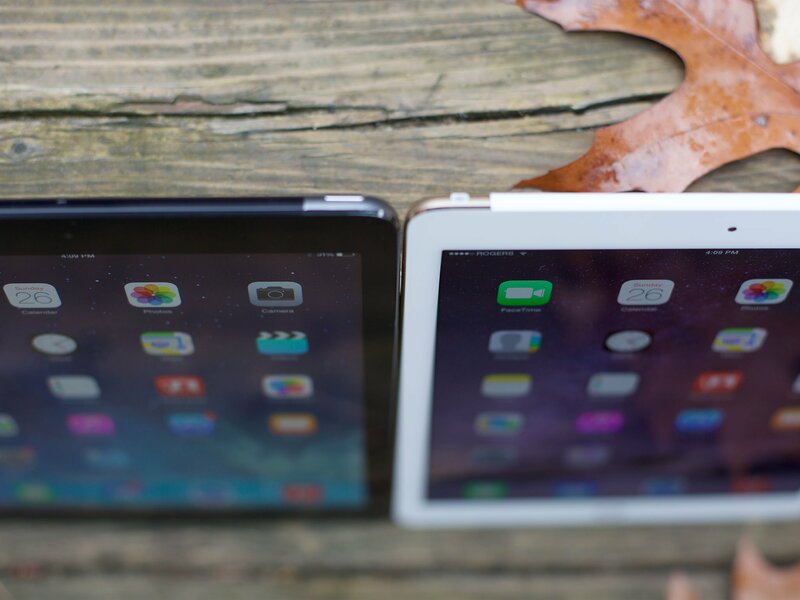 Despite its slim form-factor, the iPad Air 2 is jam-packed with connectivity. Apple has upgraded the iPad's Wi-Fi to the 802.11ac standard, which offers speeds of up to 866 mbps when connected to a compatible base station. Thanks to dual antennas and multiple-input, multiple-output (MIMO), that's twice as fast as the 433-mbps 802.11ac Wi-Fi available on the iPhone 6 and iPhone 6 Plus. In addition, there are multiple cellular improvements: Apple offers support for 20 different LTE spectrum bands now, with connection speeds of up to 150 mbps. In practice, the iPad Air 2 flies, even when you're not surfing on an ac-compatible network. A years-old AirPort Express churned out an acceptable 25.85 mbps upload, 11.84 mbps download from a 20 mbps Comcast connection; my local coffee shop offered TK. 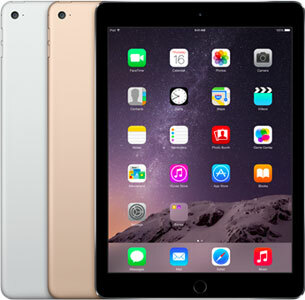 On T-Mobile's 4G network, the iPad Air 2 offered a surprisingly speedy 16 mbps download average with 3 mbps upload; on T-Mobile's Boston LTE network, the connection ranged from 60 to 68 mbps download with 13 mbps upload. On Rogers in Montreal — which doesn't yet offer LTE Advanced — the iPad Air reached between 60 and 80 mbps. Internally there are rumors of a speed-boost as well — a PCIe bus. What that really affords Apple right now, however, is hard to say. The SIM supports three networks in the United States: AT&T, Sprint, and T-Mobile. (In the U.K., EE is Apple's sole launch partner.) Each has a variety of plans you can choose from, including ones that hook up to an already-existing phone contract, and you can cancel the pre-paid plans at any time and switch carriers. The iPad Air 2 comes with the new multi-carrier Apple SIM. You no longer have to decide before you buy which network you'll use. Mostly. Well, unless you choose AT&T. Once you pick AT&T as your carrier in the System Preferences selection screen, the Apple SIM is locked to that network; you'll have to get another Apple SIM if you want to cancel that plan and instead use T-Mobile or Sprint. (Likewise, once you sign up for either Sprint or T-Mobile, AT&T is taken off the table as a potential option.) For more information, check out Apple's support document on the matter. And then there's Verizon. The carrier has decided it wants no part in the magic of the user-friendly Apple SIM; instead, if you'd like to use your iPad on Verizon, you'll either have to purchase your iPad directly from the carrier or an Apple Retail Store, or pick up a Verizon nano-SIM card for your already-purchased iPad Air 2. The initial cellular setup is as easy as it's ever been — except this time you have three carriers from which to choose from. I'm a little sad that Apple hasn't been able to integrate Apple Pay into this selection screen, as I had to pull out my decidedly-now-old-fashioned wallet to enter in credit card information for my plan, but other than that, signing up was simple as could be. In the past, the iPad's rear-facing camera has never been its strong suit. Whereas Apple's iPhone models often have their latest-and-greatest camera features put on a pedestal during announcements, the iPad's cameras felt like an after-thought, designed more for the casual FaceTime chat than mobile photography. But even with low-level hardware and terrible sensors, users took to iPad photography. They snapped landscapes with their iPad 2 models, used the cameras to augment apps, and so much more. 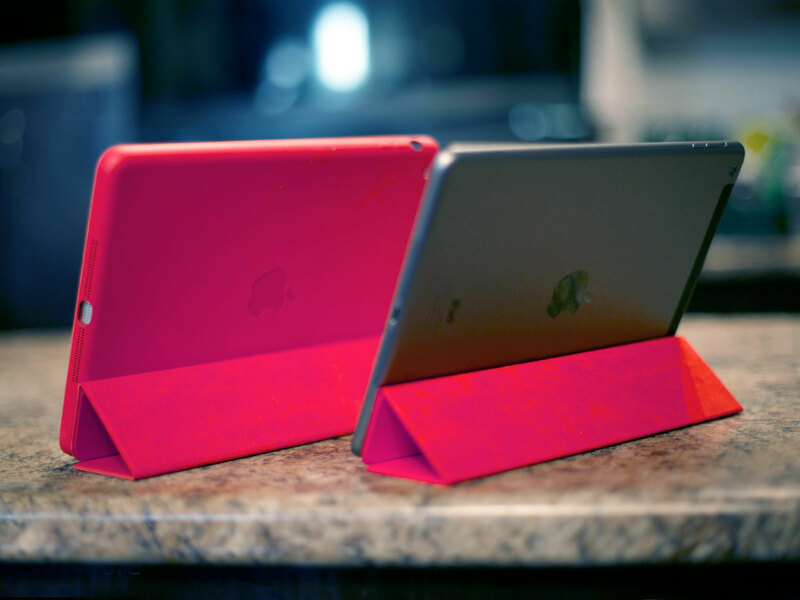 And with the iPad Air 2, Apple has recognized this use case — and embraced it. 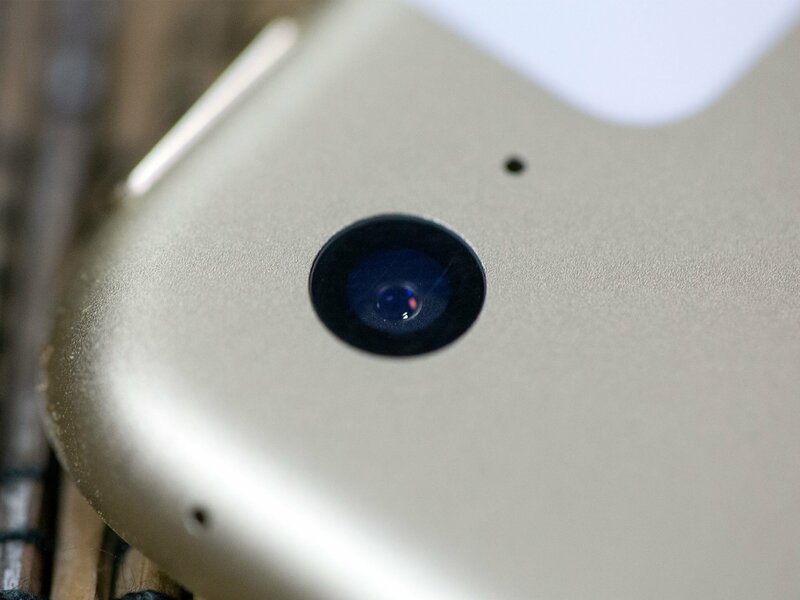 The Air 2's camera may not have all the bells and whistles of the iPhone 6 and 6 Plus, but it's a major improvement from previous models: It comes with an 8MP rear camera sensor (3264-by-2448 pixel resolution) that can also shoot 1080p HD video; a new low-light friendly sensor and a larger f/2.2 lens aperture for the front-facing 1.2MP/720p video FaceTime HD camera; and the image processing chops to make everything look spectacular. The iPad Air 2's camera may not have all the bells and whistles of the iPhone 6 and 6 Plus, but it's a major improvement from previous iPads. We can't forget perhaps the most important part of snapping photos with an iPad, however: the Retina screen viewfinder. While the iPhone may arguably be the more convenient device to snap a photograph with, the iPad offers a gigantic 9.7-inch viewscreen to properly frame and snap your photographs and video. Going out and shooting a recent roller derby practice with the iPad felt a little clunky at first, but it was great to actually see specific skate details on the screen rather than just assuming they'd be there in the final product. Courtesy iOS 8, the iPad Air 2 offers full exposure control, HDR, 10fps burst mode, and a self-timer when taking still photographs. If you're interested in checking out sample photographs, our colleague Ally has done a full set of comparisons and tests between the original iPad Air and its newer model. On the video side, the iPad gets the iPhone 5s's 120fps Slo-Mo mode and iOS 8's time-lapse mode. The slow-motion footage looks very similar to that of the iPhone, though the latter device looks slightly better in low-light. Timelapse in bright light looks excellent, though setting up a steady tripod stand for the iPad can be slightly trickier than casually positioning an iPhone. 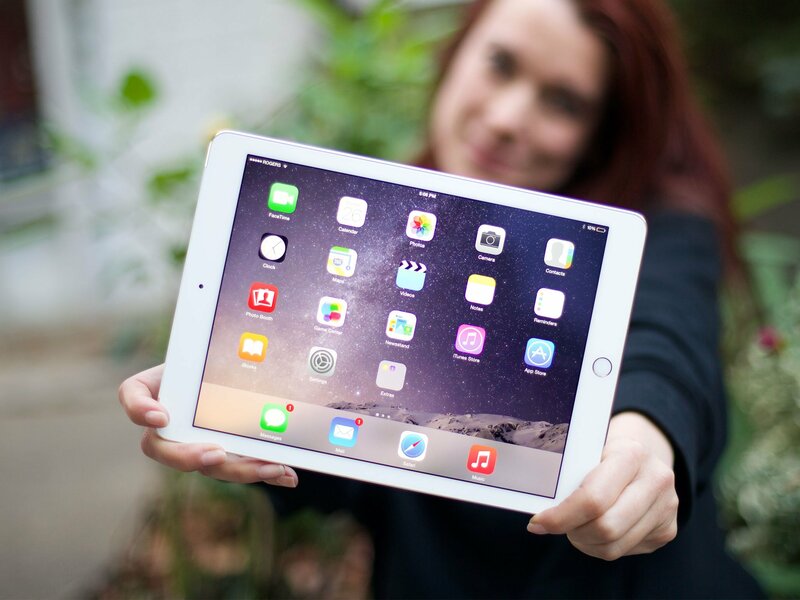 The iPad Air 2 ships with iOS 8.1, the first point-release update to Apple's 2014 mobile operating system. It includes updates to Messages and Photos, a predictive keyboard and contextual Spotlight, improved Mail and Safari, Family Sharing options and Continuity workflows, and Extensibility, which allows for interactive notifications, custom keyboards, custom sharing and action options, custom photo filters and effects, widgets, iCloud Drive, and custom storage providers. There are also new frameworks like HomeKit for home automation, manual camera controls, Touch ID authentication for third party apps, SpriteKit, SceneKit, and Metal for games, and a new programming language called Swift. As big a design update as iOS 7 was, iOS 8 is an even bigger functional update. The iPad Air 2 comes with FaceTime, Calendar, Photos, Camera, Contacts, Clock, Maps, Videos, Notes, Reminders, Photo Booth, Game Center, Newsstand, iTunes Store, and App Store built-in, as well as the new Tips, and iBooks and Podcasts which move from App Store to default status. On 64GB and 128GB models, Apple is also pre-installing the iWork and iLife apps — Pages, Keynote, Numbers, GarageBand, and iMovie, as well as iTunes U. You can also get a ton of apps from Google, Microsoft, Facebook, Twitter, BlackBerry, and pretty much anyone and everyone you can imagine. Over 675,000 iPad-optimized apps are now available on the App Store, and there are new arrivals every day. Thanks to Touch ID, you can also use password managers, banking apps, and, with Apple Pay, shopping apps more quickly and conveniently than ever before. Thanks to the Apple A8X processor, you can use them more creatively and productively as well. And for games, well… is more eye-poppingly a thing? Every iPad Air 2 comes with iCloud, which lets you transparently backup and restore your data to and from Apple's servers. iCloud also lets you re-download anything you've bought on iTunes, the App Store, or the iBooks Store, including music, movies, TV shows, apps, games, and iBooks. iCloud Drive makes files from any app available to any other compatible app and iCloud Photo Library (still in beta) looks to make photos and videos part of the core iPad operating system experience. iCloud offers 5GB a month for free, with $0.99/month options for 20GB, $3.99/month for 200GB, $9.99/month for 500MB, and $19.99/month for 1TB. Apple Stores, especially when combined with iCloud, whether extended by AppleCare+ or not, provide remarkable customer support for iPhone 6 Plus owners. Apple specialists can help you test a phone to make sure it's what you want, help you set it up, teach you how to use it, and if anything goes wrong, help you fix it. It's a feature not always included on competitive checklists but anyone who's ever needed to avail themselves of it knows just how important a feature it is. 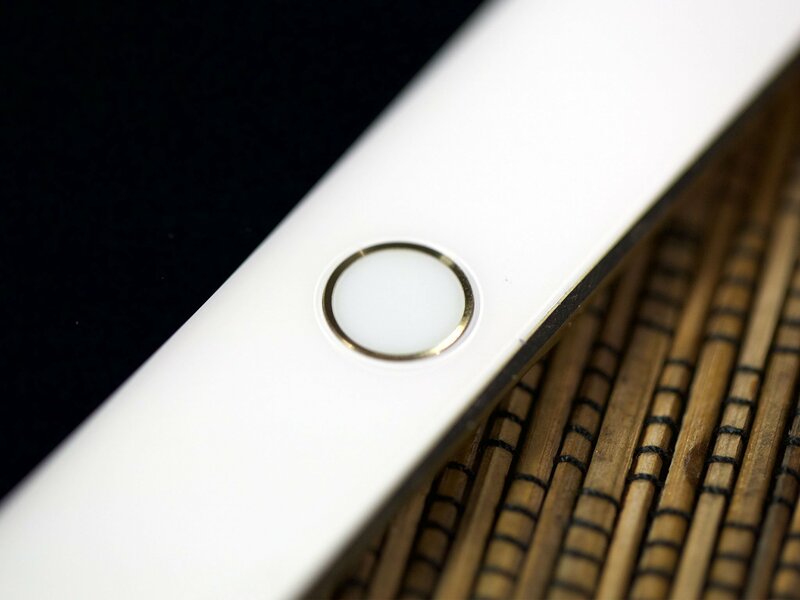 The iPad Air 2 is not only thinner than the original iPad Air, but includes Touch ID in lieu of the traditional Home button. That means, while accessories like Smart Covers and Lightning cables will work with this year's model, cases as well as anything that blocks the fingerprint reading capability of the sensor will not. Manufacturers will update quickly, but check and double-check before buying anything to make sure it's compatible with the iPad Air 2. 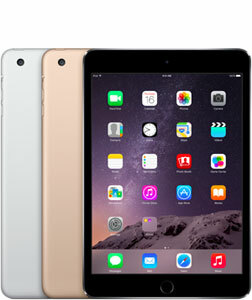 The iPad Air 2 comes in three capacities, 16GB, 64GB, and 128GB, and in both Wi-Fi and Wi-Fi + Cellular models. The Wi-Fi models cost $499, $599, and $699 respectively. The Wi-Fi + Cellular models cost $629, $729, and $829 respectively. 16GB will almost certainly prove too little for all but the lightest use cases, including education and enterprise that buy in volume and use few apps or web apps. However, 64GB and 128GB pricing is now $100 less than it was last year, making the larger capacity options cheaper than ever, and absolutely something worth considering. The story of Apple is one of mainstreaming computing technology — making it more accessible and more inclusive in more ways for more people. The iPad has been an important part of that story. While it's nowhere near as powerful as a top-of-the-line desktop, it can still be just as empowering. An iPad may not do everything a traditional computer can, but there are folks who use an iPad to accomplish tasks they never could on a traditional computer. Mainstreaming creativity and productivity is something Apple started doing with the iPad 2 and their "We Believe" campaign in 2011. The message got lost amidst Retina and LTE improvements in 2012, but was re-embraced with the original iPad Air and "Your Verse" in 2013. And it's something the company continues now. Apple's choice to showcase Pixelmator and Replay at the iPad Air 2 announcement was no accident: It's yet another signal that powerful apps can not only exist on the company's tablet, but for some endeavors, exist better than their desktop counterparts. Yes, iPhones have gotten bigger and more capable. 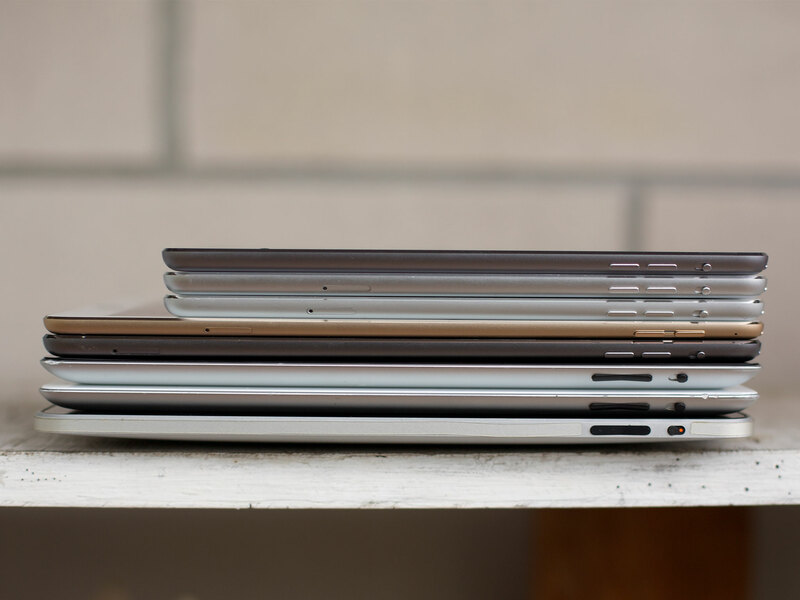 Yes, MacBook Airs have gotten more accessible and more efficient. But there's space between them, and arguably that space is now better occupied by a 9.7-inch iPad. You can still read your email or surf the web, enjoy videos or your music collection, read iBooks or play games on your iPad Air 2. But now you can do much, much more as well. Given the processing power and RAM included in the package, maybe much more, soon, as well. Some may argue that iOS on the iPad Air is now a limitation, and in that vein, iOS 8 has made some strides to improve user complaints: Apple has already added inter-app communication with Extensibility and multi-device workflows with Continuity. There are indications the company might add support for multi-window apps in the very near future as well. Keeping the desktop experience off of mobile, however, has been the key to the iPad's success to date. For the vast majority of people, complexity isn't a feature, it's barrier. Continuing to evolve iOS and providing more advanced options for those who seek them out, while keeping things simple, approachable, accessible, and usable for everyone will no doubt be the key to the iPad's future. 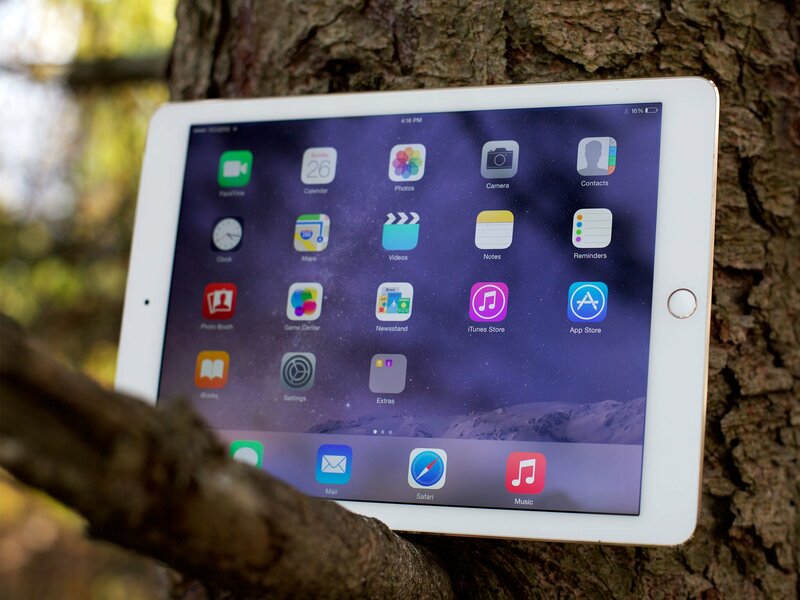 So, all that said: Should you pick up the iPad Air 2? If you have the original iPad Air, unless you really want the better processor or camera, or the gold finish or cheaper 64GB or 128GB storage options, you're still fine for what's likely years to come. If you have an iPad 2 or iPad 3, or if you're still considering your first iPad, you should strongly consider the iPad Air 2. This is the one everyone's been waiting for. Georgia Dow, and Anthony Casella, Ally Kazmucha, and Derek Kessler contributed to this review.